As weekends go, this past one had an uncanny number of bubbles. 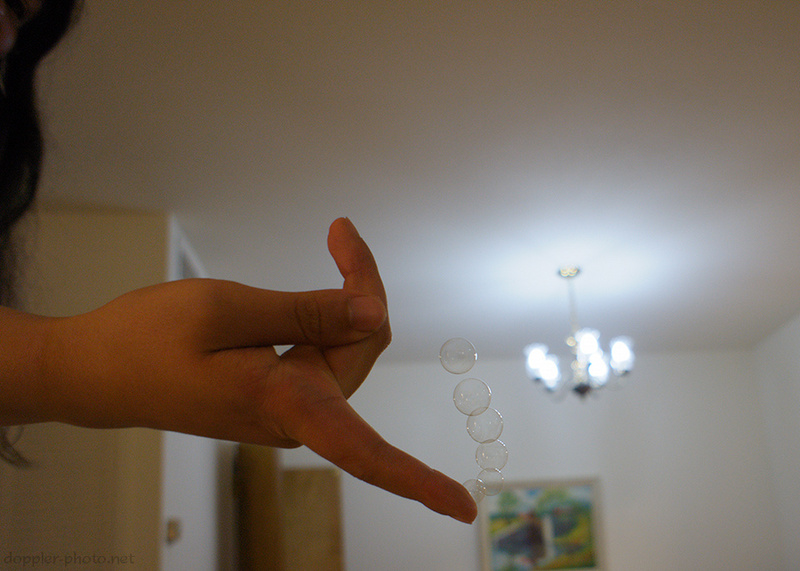 My friend Andrea found a surprisingly resilient bubble formulation which allowed her to create tiny structures made of bubbles. In the photo, she's just about to capture another one and stack her bubble tower one higher. The evening prior was also packed with bubbles. 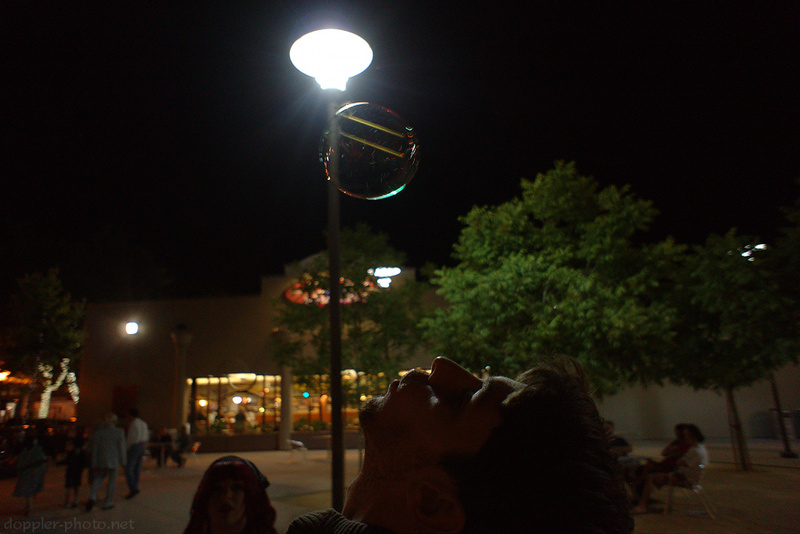 Here, John blows a large bubble upward with hopes for it to catch some warm air and rise into the night sky. During prior attempts, John and our other cohorts discovered that if you blow hard enough, a single large bubble would often split into a pair of smaller bubbles.